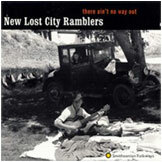 The Ramblers recorded these twenty-six tracks in 1996, their first studio recording since 1973. They offer a fresh hearing of old-time, early bluegrass, and Cajun music played on a variety of acoustic instruments. The booklet contains essays and notes by all three Ramblers as well as a discography and photos.